When Shopkins first came out, I honestly found them SO adorable! I loved collecting tiny things when I was little and having Shopkins now with their themes - housewares, petkins, bakery and all that is just overloaded with cuteness! I love it! So, when I was invited to the Shopkins Shopville event the at SM Mall of Asia, it was a big YES! For this event I only had my husband Gersh to accompany me because I had a school errand and he had an errand as well, so we couldn't bring the boys. So, we just met up at MoA in time for the Shopkins event! Wuhoo! Choppiness welcomes its fans in a 2-day event that captures the delightful Shopkins world through fun and engaging setting. Europlay Distributor Co., in cooperation with Toy Kingdom, present Shopville Manila, the first-ever Shopkins world live-experience, that gathers Shopkins fanatics to celebrate the success of this cutest collectible line in the market. Guests are given VIP passes to enter Shopville Manila that they can use to participate in arts and crafts studio, cupcake decoration boutique, Shopkinds design workshop, and other activities and treats each station has to offer. Choppiness fans are encouraged to bring their collections and visit the Swapkins zone where they can trade characters with fellow collectors to complete their shopping list. An added treat of meeting Shoppes for the first time along with Shopkins all-time favorite characters is also expected in this event. Bubbleisha, Popette, Jessicake, Split Milk and Lippy Lips! With a sweet n sour personality this girl can really burst your bubble. Her attitude can sometimes get her into sticky situations but her friends all know she can be as sweet as candy when she wants to. most talkative. Her friends are always telling her to “keep a lid on it!” She’s a “reel” attention getter! She loves having a movie marathon when her friends sleep over! Life really is a piece of cake for this little sweet heart! She’s very warm and understanding and has dozens of friends. Anyone new that she meets, she sprinkles them with cupcake treats, and she’s always baking up new ideas for her next big Girl’s Day Out! And to ensure that guests (of all ages! haha!) remember this unique experience, pictures taken at the photo booth are uploaded in www.shopkinsworld.com.ph where they can post and share on social media using #ShopvilleManila and #ShopkinsPh. :) So, be sure to have your photos taken! 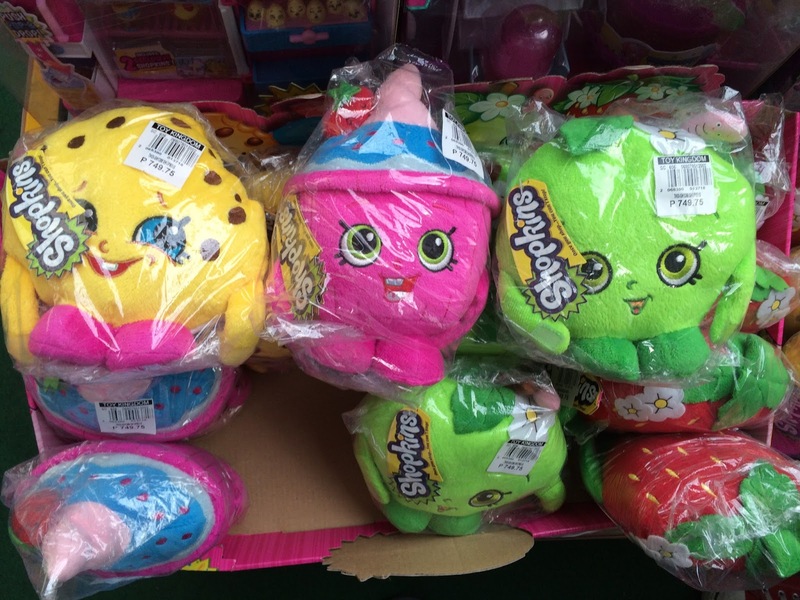 Since its Philippine launch in 2014, Shopkins has become the most popular collectible line for girls in the country. It continues to grow in popularity and increase its fan base with each new series.